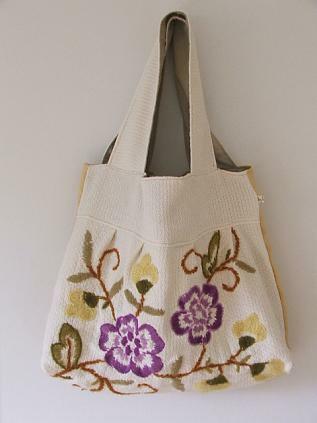 With enriched industrial experience, we have been able to manufacture and supply a wide spectrum of Wool Embroidery Bag. This bag is stitched and embodied by our experienced professionals using premium quality wool and other allied materials. Our offered bag is perfect for parties or any other occasions. Apart from this, we provide this bag in a variety of designs and sizes as per the specific demand of our esteemed clients. Having a definite quality management system, we are regarded as the noteworthy manufacturer and supplier of high quality Rabari Embroidery Bag. Our offered bag is embroidered and stitched using premium quality fabric and other allied materials in accordance with the current market trends. We also provide this bag in a plethora of attractive pattern, beautiful colors and alluring designs as per clients’ specific requirements.